The annual quota of 85,000 new H-1B petitions was exceeded in the first five business days of the filing period for employment in FY 2017. In the coming days, USCIS will conduct a computerized lottery to choose enough H-1B petitions to result in 85,000 approvals. USCIS has announced that the annual limit for Fiscal Year 2017 H-1B employment has been met. The agency will continue to accept filings today, but will reject any cap-subject cases received April 8 or later. H-1B cap numbers and the cap exemption of 20,000 for holders of U.S. advanced degrees. USCIS has not yet disclosed the exact number of cap petitions received, but the total is expected to be near the record 233,000 petitions submitted last year. Employers will not be able to file any further H-1B cap petitions until April 3, 2017. The agency will continue to accept petitions that are not subject to the cap, including extensions, changes of employer, amendments, concurrent employment for existing H-1B workers, and petitions filed by organizations that by law are exempt from the cap. In the coming days, USCIS will run two lotteries to choose the FY 2017 cases that will be processed to completion. The first lottery will select enough cases to meet the advanced-degree cap exemption of 20,000. The second lottery will draw from all remaining cases, including those not selected in the advanced-degree lottery, to select enough filings to fill the standard quota of 65,000. After USCIS runs the cap lotteries, it will begin to issue receipts to employers whose cases are chosen. Premium processed cases will be receipted first by email, with hard copy receipts following by mail. Thereafter, USCIS will begin to issue mailed receipts for non-premium cases. Cases not selected in the lottery will be returned to petitioners with their filing fees, but the return process is not likely to begin until sometime in June. USCIS expects to start adjudicating premium processed cases no later than May 16. In past years, the agency has begun premium service by its projected start date or earlier. Adjudication of non-premium cases is expected to begin soon after the 15-day premium processing period, likely by the end of May. Employers and foreign nationals should be prepared to wait up to several weeks to learn whether their petitions were accepted in the H-1B cap lotteries, depending on whether cases were submitted for regular or premium processing. If any of your organization's cap filings are not chosen, your Fragomen team can assist in identifying alternatives for affected employees. This alert is for informational purposes only. 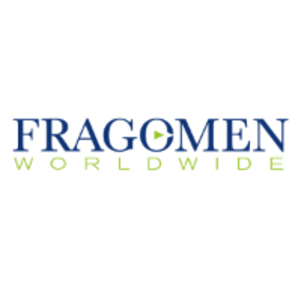 If you have any questions, please contact the immigration professional with whom you work at Fragomen Worldwide.